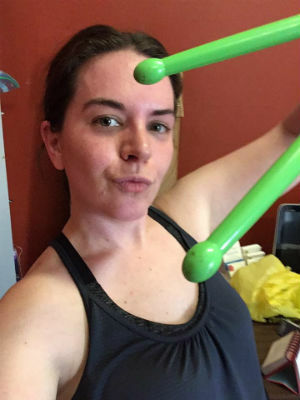 Carrie Fick is a Pound® Rockout.Workout, Generation Pound and yoga instructor. She was a runner for years, but after having kids finding time to work out was difficult. Becoming a Pound® Pro gave Carrie the chance to make time for herself, show others her passion for working out and, most importantly, teaching her boys the importance of getting active and embracing a healthy lifestyle. She is especially excited to involve her own kids in Generation Pound classes designed just for kids to rock out, and yoga to help them direct their energy in positive, healthy ways!